We at MPB 4×4 are used to carrying out this type of work and have a lot of experience in this field since we started over 20 years ago. We can advise customers on the best way to go about this with long life in mind as well as the most cost effective ways in carrying out the work. Customers vehicles can be refurbished to suit individual requirements and can incorporate engine swaps/upgrades and chassis replacement, etc. Bodywork repairs and resprays can also be carried out. Side windows and rear seats can be fitted to hardtop models. If you have any special requirements please ask as we are sure we can help. 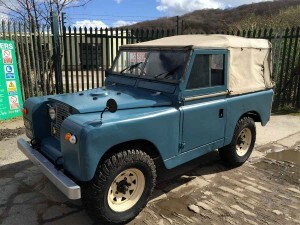 Take a look at other pictures of refurbished Land Rovers on our site. 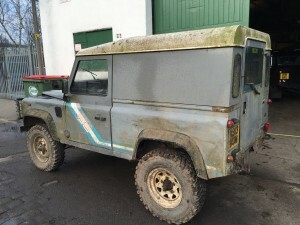 This Defender was a straight forward chassis swap for a hard working farmyard 90. This Series 2a was stripped down so the original chassis could be repaired where needed and then protected. We stripped down and rebuilt the engine, gearbox and fitted an overdrive. With some new interior parts, some paint and tyres we transformed this series 2a.